Tout Service Definition - What Does Tout Service Mean? 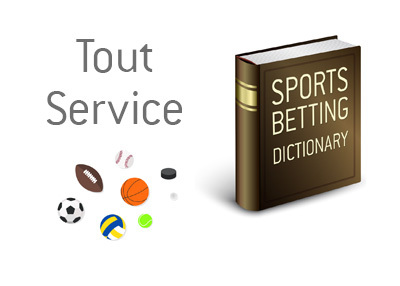 What does the term "tout service" mean in the world of sports betting? What is the definition of the term "tout service"? In the world of sports betting, a "tout service" is a company that provides sports betting advice to its clients. Some tout services will welcome their clients to Las Vegas and then accompany their clients to the sports book. If the client wins their bets, the tout service will take a percentage of the winnings - usually anywhere from 30-50%. Tout services will employ "experts" in order to provide picks. It should be noted that sports betting is a very hard way to make a living, and tout services exist to provide their owners with a steady income. Make of that what you will when you consider whether or not to utilize a tout service. The top sports bettors in the world will just bet their own plays and forget about trying to earn a monthly income from a tout service. There are some well-regarded tout services out there, but most have tremendous amounts of customer churn and are not very reputable.